PASS Galleries are online galleries that you can use to download, share to social media, email and view your beautiful photos. I still offer CD and FLASH DRIVE options to go along with the online gallery. PASS Galleries save your photos in the cloud for 10 years! You can never misplace them or damage them up there! 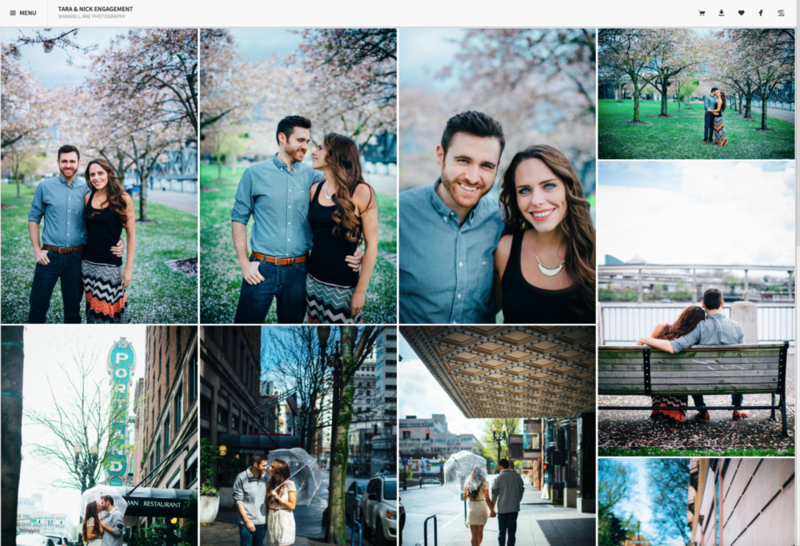 Its fast and gorgeous, heres a sample engagement gallery from spring 2015. Here are a few awesome PASS Gallery features! Beautiful, clean and timeless design! Above, PASS Gallery sample homepage! Click on the photos to view them larger. Additional options for that photo will also appear across the top of the gallery. Now that you have Professional photos taken, you want to receive Professional quality prints. Guess what? You NOW have access to order prints from one of the same PRO LABS I use, at a fraction of the cost right in your gallery!!! This is not a joke, professional prints for as little as $1. Click "ADD TO CART" at the top menu and order whatever you like, and it ships straight to your door! The top menu also features a "DOWNLOAD" tab. PASS makes it easy to download 1 or all of your photos to any smartphone, computer and tablet. PASS also has a privacy feature, I can put a password on your galley to keep it private at request! Some galleries have over 200 photos in them so it gets hard to see your favorites without scrolling through your whole gallery. Just click the heart on the photos you love love love, and they will be grouped together in the "FAVORITES" tab! Posting to Facebook has never been easier.... Press the Facebook tab and share your gallery with your friends lists. Everyone wants to see your adorable galley so share it! I am obsessed with Pinterest, I think I have over 3,000 pins... haha. So if you enjoy using pinterest you will love this! You can pin your personal photos to pinterest!